A recent report out of Taiwan, attributed to sources in Apple”s Asian supply chain, states that the Cupertino, CA company will produce a 4-inch iPhone “for the convenience of single-handed operation of female users.” Hmm, I wonder if it will work on my wife? And, while I ponder that beautiful possibility, consider this — whether or not Apple releases a new or updated 4-inch iPhone, the company has a long, long history of reselling older models. For example, Apple sold the 3.5-inch iPhone 4s worldwide from 2011 through 2013. In fact, Apple continues to sell the iPhone 4s in some developing markets. And, while many reports posit that Apple will return to the 4-inch iPhone, truth is the company still sells two 4-inch iPhone models — the iPhone 5s and iPhone 5c. Further, at least one early guesstimate of Q4 iPhone sales have casino online the iPhone 5c and iPhone 4s playing a leading role. Why would Apple continue to sell a 4-inch iPhone after 2015? Simple, people love that form factor because it”s small and tough enough to actually fit safely in a pocket, and it”s also just the right size for many, many people”s hands. In fact, 4-inch iPhone lovers include noted Apple mavens John Gruber and John Moltz. That said, Digital Journal quoting a piece in Taiwan”s Electronic Times, claims that Apple is designing a new and/or updated 4-inch iPhone models for release next Fall. Apple has reportedly made ? ?this decision in view of the user”s convenience in operating the phone with one hand. The company is looking to help out “female users” who may be having problems using the big-screen iPhones. Female users only? I”m 6″2″ and the 4-inch iPhone is perfect for my immodest male mitts. Yes, the 4.7-inch iPhone 6 and 5.5-inch iPhone 6 Plus are extremely popular and selling like hotcakes. Regardless, the days when Apple could be a sales leader on the back of a single smartphone form factor are long gone. 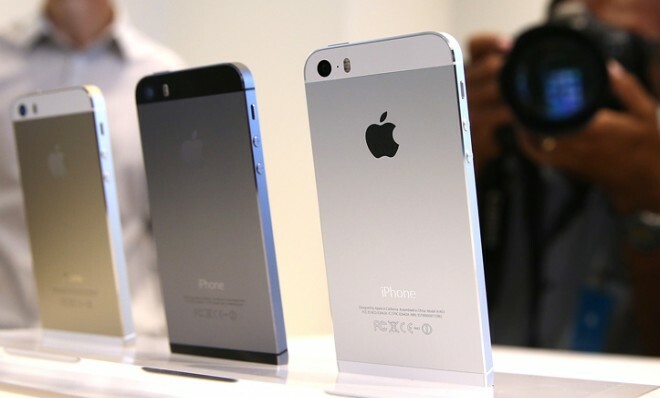 Are you looking forward to a 4-inch iPhone or is Apple”s 5.5-inch iPhone 6 Plus phablet more your speed? Inquiring minds want to know.